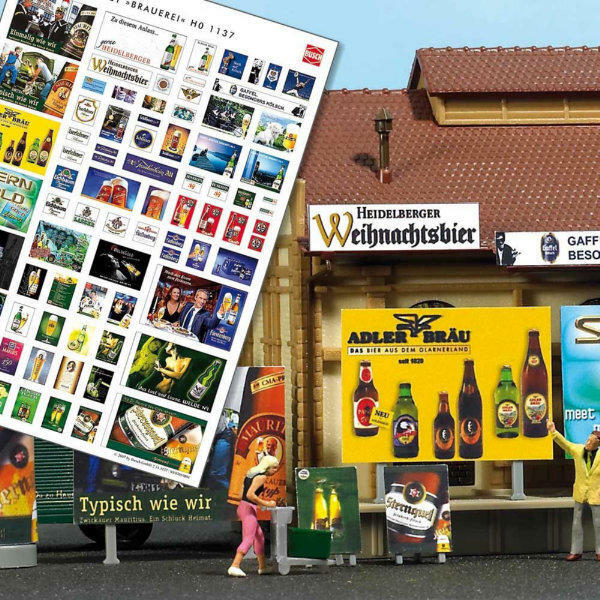 Over 70 different advertising posters about beer. Naturally also includes numerous themes suitable to our Sternquell series. Complete with poster panels, hangers and advertising pillars on which the posters may be glued.